This look is so beautiful! 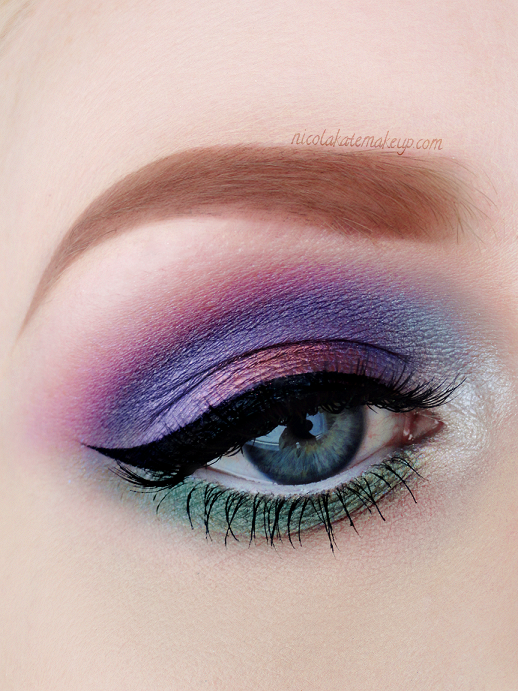 I absolutely love the pinky-purple center colour on the lid and the little bit of blue between the inner highlight and purple lid. Thanks, Ada - It was fun to create a more softer-toned look for a change!